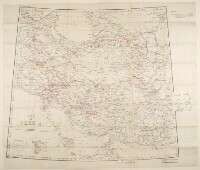 The map is a provisional issue print, marked secret, to accompany Military Report on Persia , and shows Persia and adjacent portions of Arabia, Turkey in Asia, Russian Dominions, India and Afghanistan, indicating cities and towns, roads, tracks, railways, telegraph lines, boundaries and hydrology. Tribal names and the British and Russian spheres of influence are shown in red. A short note about publication appears in the top right corner. The map was printed by the Simla Drawing Office and includes a printing statement which reads 'S.D.O. 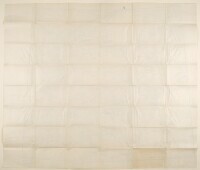 No.369, 1912. '.